Apple announced a major refresh to its Retina MacBook Pro lineup at yesterday’s media event and less than 24 hours later, the newest Apple notebooks have started showing up in Geekbench benchmarks. As noted by MacRumors, most of the benchmarks show approximately 4-10% higher performance than their predecessors, while the increased efficiency of Intel’s Haswell chips is reflected through improved overall battery life. The updated 13” Retina MacBook Pro is thinner than last year’s model, matching the thickness of the 15” model, though it has a slightly decreased battery capacity. But despite the slightly smaller battery, Intel’s Haswell chips has allowed Apple to improve its battery life. 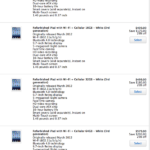 While upgrading the specs, Apple has reduced the starting price of 13? 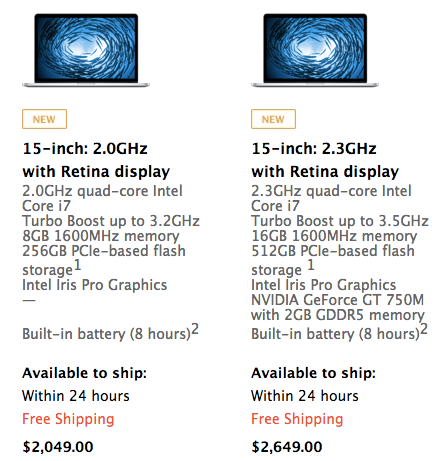 Retina MacBook Pro to $1349 and that of 15? Retina MacBook Pro to $2049.